Gtir Motorsport club » Gallery » members other cars section » New project ! This is next years project , a little different but still good fun . Nothing major really , just restore it . It's quite scruffy and needs a paint etc the interior is not bad other than the wood vernier on the dash. Engine has a tvr big valve head , it is pre cat with no silencers ! So sounds great but needs top end gaskets and head gasket . Amazingly only cost £145 to insure for a year with breakdown cover which is needed! Me knowing next to nothing about these cars what year and model is it? No proba . It's a S series , model Is V8S and think it's 1992. Take it that's the rover v8 Tim with buckets and shims? 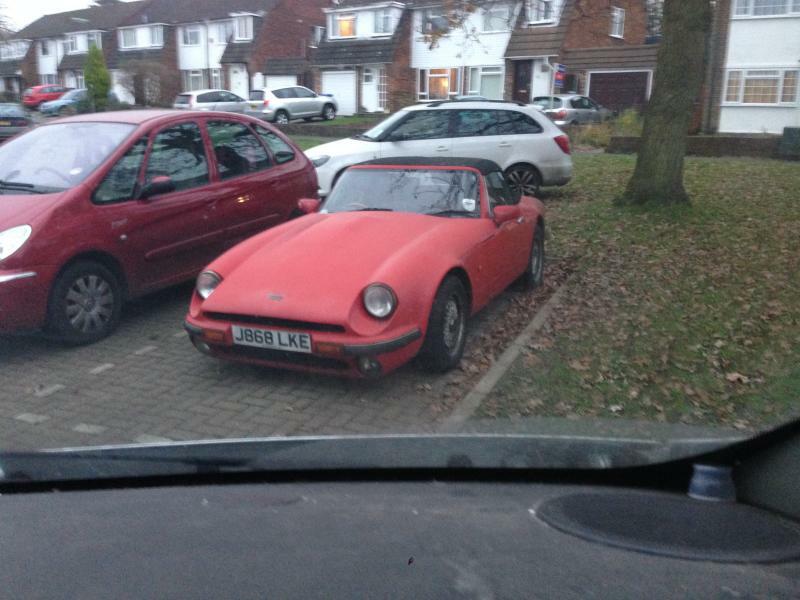 Great little project though, is the subframe all good? Not sure on bucket and shims mate to be honest , I have a good manual so will check . It's had a lot of work last year on the underside so think it's good but not really checked. nice, they look great once complete, we have 3 tvr's in our family. 13 Re: New project !